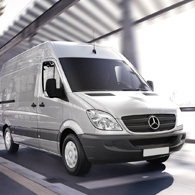 If you need to deliver something small, like boxes, or fragile items that need special care, or anything up to 4 standard pallets, don’t worry, we have cargo van/sprinter services available. No matter what type of package delivery that may seem impossible, Andrey’s Delivery Express will put it’s resources into action to expedite your delivery. Our professional couriers and delivery staff specialize in solving problems by providing reliable deliveries for our customers. If you need something delivered then call us and we are on the way. For many organizations it is a hassle to attract, hire, train and manage full time drivers. If a driver is sick or quits, not only do you have to start over again but you have to immediately find some way of handling the required deliveries. As delivery professionals, Andrey’s Delivery Express r can offer you an easy solution by providing you with a well trained, qualified driver by the day, week or month. We created this service to fit the needs of customers who have daily or weekly drop-offs. If you know specific deliveries need to happen each day or week, this service is for you. Add ease to your day, week, month or year, try our scheduled delivery and save yourself time, money and headache.